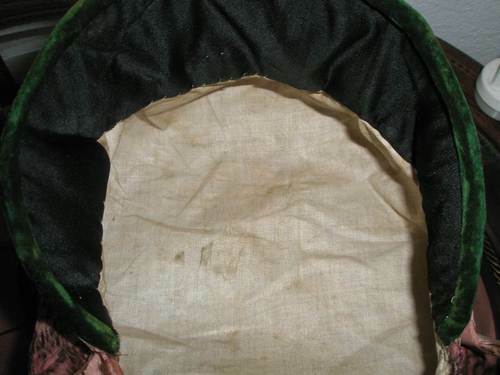 This is a ladies' bonnet typical for the early years of the 1800s. 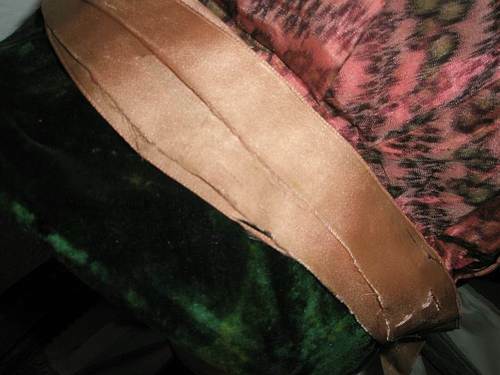 The crown is silk and the brim green, backed with black velvet. It is lined with beige linen. There is light peach ribbon trim which may not be the original, although shows signs of age. This bonnet has been altered at the base of the back, and there is a small split in the silk, but overall the condition is good. All hand stitched. 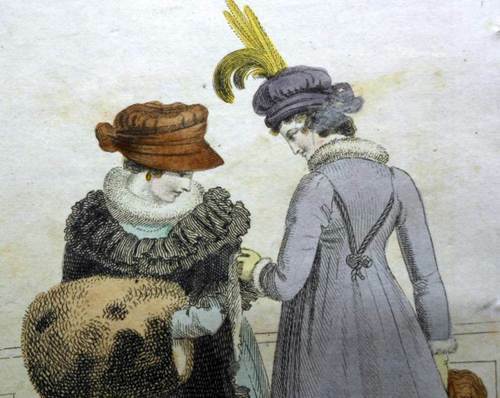 The image of an old print shows a similar bonnet worn by the lady on the left. It's a Regency hat. 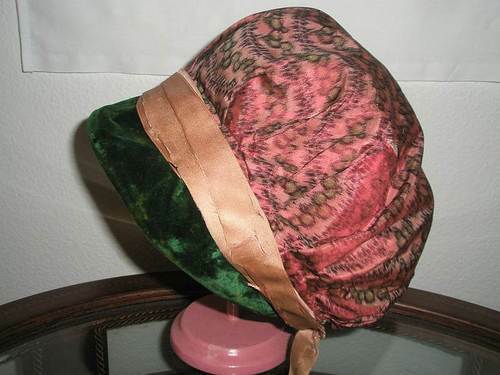 It's a pink and green Regency hat. 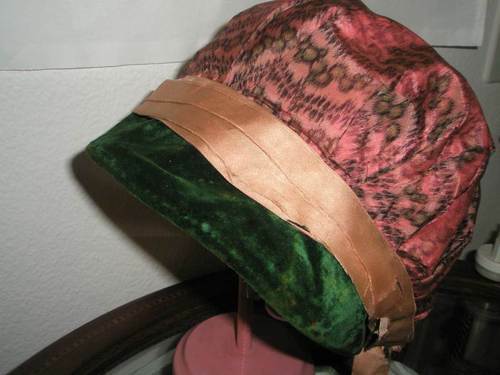 It's a pink and green Regency hat with a wild print. How can you NOT love this? Taylor!! You need to make this! I'm pretty sure it qualifies as saving the world. Ring the 4th of July 1907 style!